It is really easy to use! The MDSC has created a number of discussion topics to meet the interests and needs of our users and will help you quickly find the help you are looking for. Clicking on one of the TOPICS (see list below) will take you to the main page of that discussion forum. There you will find a list of active threads under discussion. Click on your thread of interest and this will take you into the posted messages. Before you start a new thread see if your question or concern is already under discussion. If it is, add your comment there. In this way there will be fewer but far richer ‘conversations’ developing. Others can benefit from the shared wisdom and ideas that emerge over time. You do not have to join the discussion forum to read the postings. However you will need to register if you want to post a reply or start a new thread. Don’t be afraid to join a discussion. The people who use this board are truly kind and respectful. Take your time before you decide. Read through some of the topics to get a feel for the forum. But be prepared to be inspired! You will need to register to participate in the discussion. It’s simple. Just read over the “Registration Rules” which will appear when you go to register for the first time. It will explain the restrictions and what you can expect. Also, you can learn more about forum privacy. Then create a user profile (user name, password, and answer some additional questions). For safety reasons we suggest not sharing identifying information in your profile. Remember, this is a public forum and the information posted is open for anyone to see. Please click HERE to join the forum. After you have registered you can choose to join the discussion on an existing topic or create a new topic for discussion. Click on the “Post Reply” button. A message box will appear. Write your message here, adding icons etc. When finished you can preview your posting and when satisfied click post reply. Consider our guidelines in writing your response. You can also track a topic by clicking on the topic. Watch this topic for replies. Your privacy is guaranteed! The MDSC will not use, share or sell contact information gathered through this web forum with anyone. Login information is gathered exclusively to preserve the safety and security of the site and its users. If someone does abuse the privileges of this site then we can remove them from the list. However, keep in mind that any postings you do make are open for anyone to read. That is its beauty. But there are risks. So we discourage you from sharing identifying information online. Learn more about Forum Privacy. The MDSC is trying to recruit a volunteer moderator for each discussion topic. 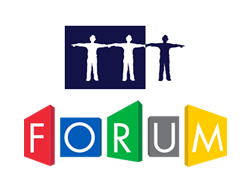 The moderator will welcome new members, answer questions on how to use the forum and when required edit or delete postings that do not honor the values and purpose of the forum. They are not professionals but like our site users share a personal experience with a mood disorder. The moderators can also alert the MDSC to changes that are needed on our website or identify unmet information needs. If you would like to be a volunteer moderator contact us. The Mood Disorder Society of Canada Discussion Forum is a way of bringing people together on-line, who share a common concern, interest, or issue. By joining the MDSC Discussion Forum you can ask questions, read about how others are living with and managing mood disorders, connect with people by sharing your experience and offering your support — all from the privacy, and comfort of your own home and on your schedule. Does a Mood Disorders Discussion Forum Help?